A small unspoilt village which is about 6 miles away from the stunning North Norfolk coast and only 5 minutes drive to the charming Georgian village of Burnham Market. It has a large duck pond and playing fields with a popular children's play area. There is an excellent village pub, The Duck Inn, which has been refurbished throughout and is highly acclaimed (The 2017 Good Food Guide Restaurant of the Year for the East of England). Stanhoe is ideally located, within 10-15 minutes drive to the beautiful north Norfolk coast with its wide open sandy beaches at Brancaster, Holme-next-the-Sea and Thornham. Field House is an immaculately presented detached Norfolk flint and brick house, ideally located along a quiet lane near a picturesque church. This lovely house offers superb accommodation only minutes walk from the centre of the charming village of Stanhoe with its renowned Duck Inn gastro pub and children's playground. The house has been extensively refurbished with a light and airy fitted kitchen and contemporary bath/shower rooms. Upstairs there are four beautifully presented bedrooms: a master suite with bathroom and dressing room, two further doubles and one single room, comfortably sleeping up to seven guests. It is only 5 minutes' drive from the Georgian village of Burnham Market and 10 minutes to the beautiful North Norfolk sandy coast. Save 20% for full week bookings from the end of October 2018 to end February 2019 for under-occupancy (4 guests or less) not including Christmas. New Year and school holidays. Grasshopper Cottage is a charming period end-terraced cottage which is quietly located down a small lane, with open rural views. 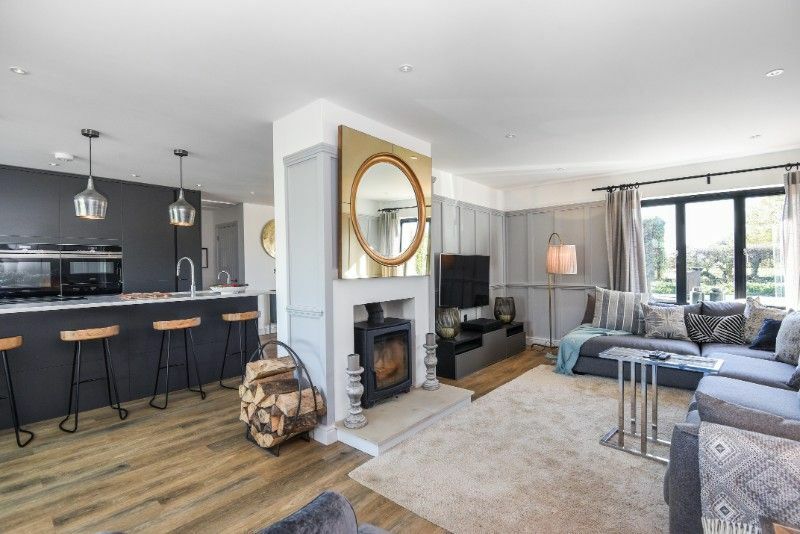 It has has a comfortable sitting room with an open fireplace and beamed ceilings, with a wide archway through to the modern kitchen and dining area. Upstairs are two pretty bedrooms with far-reaching farmland views, one with an en-suite shower room (the main bathroom is downstairs). The cottage has a fully enclosed long rear garden and is only a short walk from the excellent Duck Inn pub. The beautiful North Norfolk sandy beaches may be easily reached with a 10 minute drive. Michaelmas is a sublime newly renovated single-storey luxurious holiday home that oozes style, cleverly designed to create a light relaxing environment with a fabulous well-proportioned open plan living area with designated zones for eating, dining, seating, TV, writing, and comfy areas. There are three stylish well appointed bedrooms with a mix of king size and super king size beds two of which are en-suite and the other being adjacent to the bathroom. Outside is a paved garden which is enclosed dog and child-friendly with barbecue area and seating, with lovely views over a paddock. Quietly situated with private parking for three cars and within walking distance of the excellent Duck Inn and a close to a large playing field with a children’s playground. Mill House Lodge is a luxurious newly constructed single storey retreat which has been beautifully presented and thoughtfully furnished by its new owners. The Lodge has a gorgeous light and airy open plan living area including a superb kitchen in a contemporary coastal style, with the advantage of being on one level making this suitable for less mobile guests. The two luxurious bedrooms have been carefully designed to accommodate two couples or a family with one double room and one with the option to have a super king-size bed or twin beds, each having their own contemporary en-suite bath/shower room. Outside guests may enjoy the pretty garden with a lovely summer-house overlooking rolling countryside. 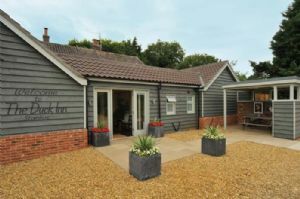 This is a very special place to stay in the picturesque village of Stanhoe within walking distance of the highly regarded Duck Inn and only a short drive to the charming Georgian village of Burnham Market and the outstanding beauty of Norfolk's unspoilt sandy beaches. 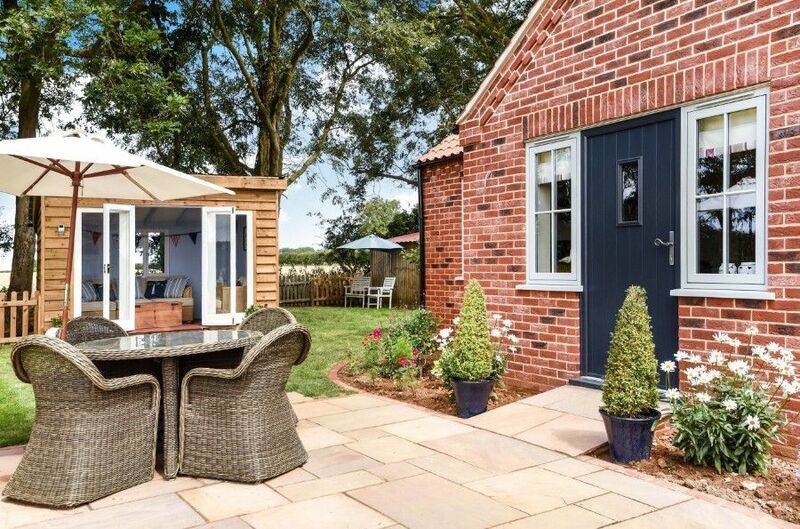 North Lodge is a charming detached flint and brick cottage which is quietly located down a small lane in the unspoilt village of Stanhoe, only 5 minutes from Burnham Market. This is a lovely place for one or two couples, or a family, with a sociable open-plan sitting and kitchen area, with a comfortable bedroom and bathroom on both the ground floor and the first floor. Underfloor heating together with central heating and an open fire make this a warm and cosy hideaway throughout the year. North Lodge has a large fully enclosed lawned garden and is within 5 minutes walk of an excellent local pub (The Duck Inn) as well as a children's playground. The beautiful sandy Norfolk coast is only 10 minutes drive away. Please note that short breaks are not offered at this property. The New Cottage is a really spacious detached Norfolk flint and brick cottage which comfortably sleeps 4, with living space for at least 6 people. It is quietly located down a small lane in the heart of Stanhoe village, with lovely open field views at the front and the advantage of a large enclosed private garden at the back. It is only minutes walk to the renowned Duck Inn which serves delicious food and good local ales, and also to the playing field with an excellent children's playground. The charming Georgian village of Burnham Market is only 5 minutes drive away, with the beautiful unspoilt sandy beach at Brancaster only 10 minutes drive. 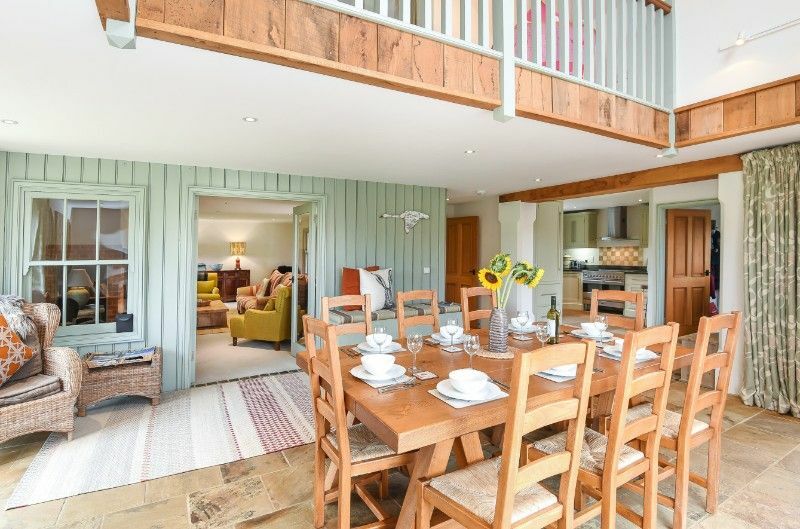 The Paddock is a wonderful, high-spec refurbished barn conversion set in exceptionally large grounds, making it an ideal place for family holidays. This is a great house with large sociable living areas and the advantage of four beautifully presented bedrooms all with en-suite bath/shower rooms. It is quietly located away from the road and has one of the biggest and best gardens for children and all the family, with plenty of space for ball games, as well as space to relax and enjoy the beautiful rural views. The highly acclaimed Duck Inn (finallist in the 2018 GQ Food and Drink Awards for Best Pub) is only a short stroll away, and the unspoilt and magnificent beaches of the North Norfolk coast and lovely Georgian village of Burnham Market are easily reached within a 10-minute drive.